Pilots! An important update has been uploaded to the servers! The resource “loyalty” is being removed from the game. Now all upgrades for weapons, modifiers and modules are bought with Credits. Bonuses that increase the earnings of Loyalty Vouchers are replaced by bonuses that increase the earnings of Credits. Additional earnings of credits on Premium ships are increased to 50%. The containers “Ship components bundle” and “Special module components bundle” now contain only parts of ships and special modules. The number of parts in the container is fixed. 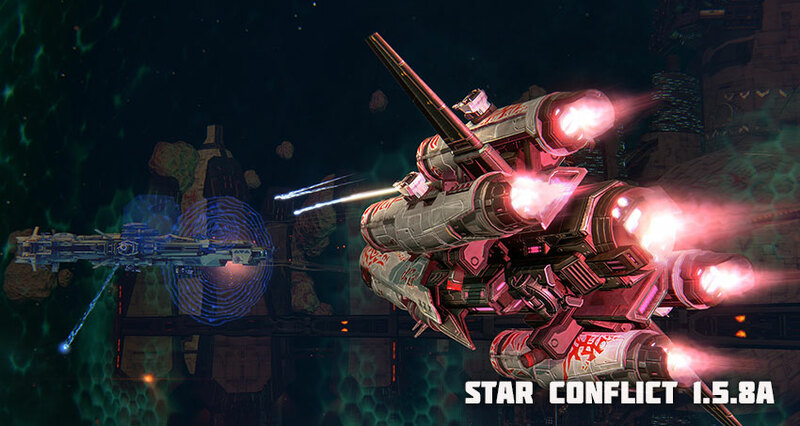 The event “Halloween in Star Conflict” ends. Undocking in Open Space locations now costs 2 iridium. Now, if the blueprint has not yet been researched in the Workshop, it says “Not learned”. The maximum number of credits in your account has been reduced to 430 million.